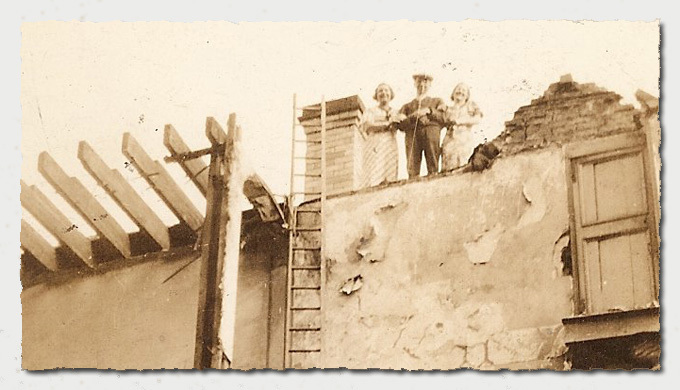 The last photo in the collection, is the most significant and quite unusual, clearly taken on the same day, [the girls are wearing the same clothes], the three are standing on the roof of the partly demolished Hall. The picture is stunning, but how the two girls climbed all the way up the ladder is a mystery in itself, wearing as they were summer dresses. 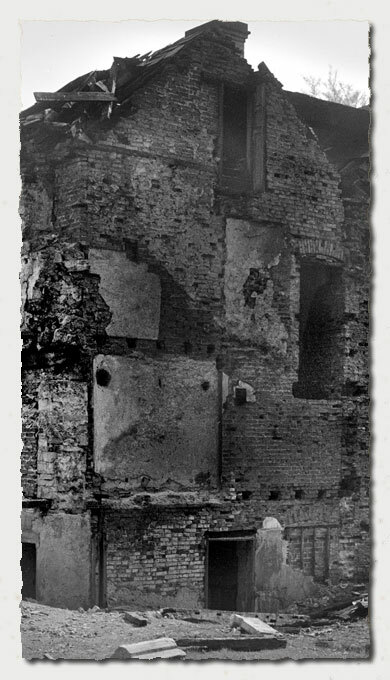 Or was it possible to reach the roof by the stairways still intact within the building. Another thing is that the ladder, termed a Pole Ladder is a common type found to this day on construction sites, but as can be seen it was capable of reaching a roof over three storeys high. This type of ladder is not readily moved and is usually carried on a small lorry when transporting to another location. 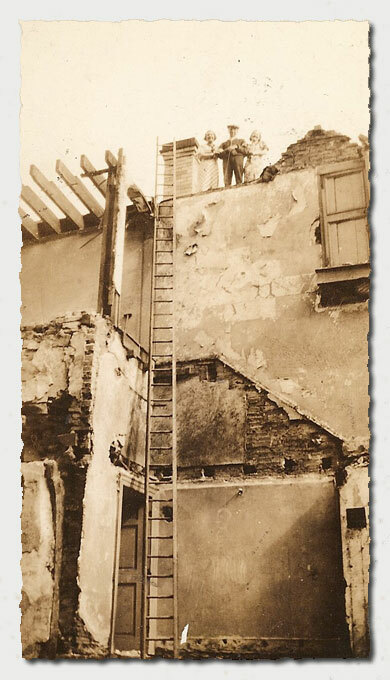 Fred Selby, his daughter and friends would have required the assistance of at least the young man seen in picture outside the stable entrance to hold the ladder whilst they climbed up. 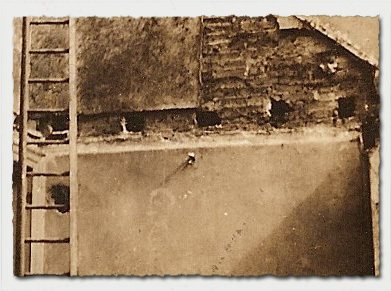 The ladder is longer than it appears in the picture, a fact that only became apparent when compared to the photographs taken in 1952 by the National Monuments Record. The lowest part of the photograph is at first floor level! So someone may well be holding the ladder but is out of shot. The doorway in the centre of this view, partly obscured by the foreground, is the ground floor, the line of a staircase can still be seen running at around 40° is the same staircase outline in the 1930's picture as is the doorway in roof space, the same doorway as in the day out shot above.